Spotify has officially climbed the stairway to heaven. Spotify's CEO Daniel Ek announced the release of the entire Zeppelin discography on Spotify Wednesday morning at a press event, and Spotify also tweeted its release to the world. Today Led Zeppelin I and II are available online, but throughout the week the rest of the Zeppelin ouevre will be open for streaming. The albums are being released two-by-two, so Led Zeppelin IV, which is often considered by the rock-inclined to be one of the greatest albums in history, will be out Thursday. It has been a long journey for Zeppelin to get to this point. Fast Times at Ridgemont High remains the enduring '80s film featuring their hit "Kashmir," although their music was featured in a handful of smaller movies in the '70s and '80s. After Fast Times, Zeppelin did not release their vice-like grip on their song rights, allowing their songs to be played only six times on big and small screens in the '90s — most notably, Almost Famous, which was directed by the same person who created Fast Times. In the new millennium, the levee broke. In the '00s, Zeppelin allowed their songs into 25 TV shows and films. That said, the band became famous for making ridiculous demands and asking for millions of dollars before releasing the rights. Since 2010, their songs have been in Oscar favorites such as Argo and Silver Linings Playlist, although their asking prices and weird requests remain the same. Now, with the release of their albums on Spotify, it seems that a new era of the Led has dawned. 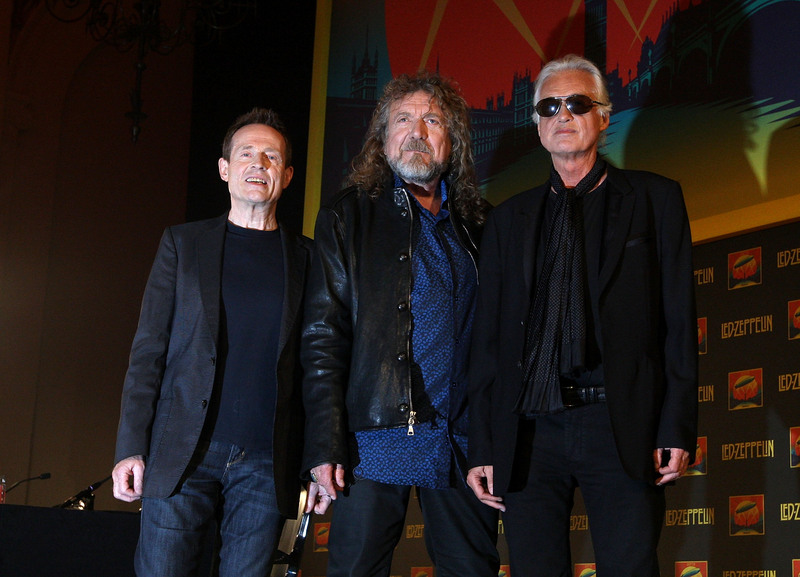 Perhaps in their old age John Paul Jones, Jimmy Page, and Robert Plant have decided that their work should finally be accessible to the masses (who are probably torrenting it illegally anyway). The songs may remain the same, but now we can all choose how we listen to them, giving a new generation of digital Zeppelin-worshippers a chance to get the led out.